Mary-anne Scott was born into a family of nine children where there was a culture of books, music and writing. Her mother, Joy Watson, authored the popular Grandpa Slippers series. Music and books are still a big part of Mary-anne’s life today. She is an avid reader of fiction and has a particular interest in books and short stories for young adults. 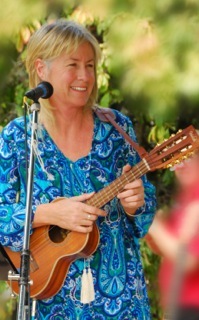 She is also a singer, guitarist and cellist and regularly plays at venues. Mary-anne is married to Paul and they have four sons, who range in age from 28 to 20. The experiences, both good and bad, of her sons and their friends have been great fodder for her writing. Her first teenage novel Snakes and Ladders was published May 2012 and has been selected as a finalist in the Young Adult Fiction section of the New Zealand Post Children's Book Awards 2013.